Guaranteed solutions for security integrators doing IP video surveillance projects. BCDVideo’s video analytics hardware not only meets the needs of security integrators, it also sets industry standards. Each server is purpose-built for IP video surveillance analytics using the newest, highest-performing hardware that supports multi-GPU configurations for accelerated performance. With strong industry relationships and leading analytics softwares, BCDVideo optimizes hardware performance to get the most out of each video analytics solution. BCDVideo’s line of enterprise video recording servers are built for deployments requiring high availability, redundancy and top performance. All enterprise servers are standardized with dual-port SAS drives, the latest Intel® Xeon® processors, and Windows Server 2016. Security integrators love our line of professional video recording servers which are workload-optimized and feature Windows 10 Pro operating system, 24/7 Duty Cycle SATA drives, high performing Intel® Xeon® processors, as well as high availability options including RAID 5/6 support and redundant power. The Pro-Lite video recording server line offers an affordable, high-performance solution featuring 24/7 Duty Cycle SATA drives, Intel® processors, and a Windows 10 Pro operating system. These servers are optimized with RAID 5/6 support and redundant power. Offering top-of-the-line performance at an affordable price. Available in a variety of form factors, BCDVideo’s entry level video recording servers deliver performance and reliability at an affordable price. They provide ample storage and feature Intel® Core processors and a Windows 10 Pro operating system. 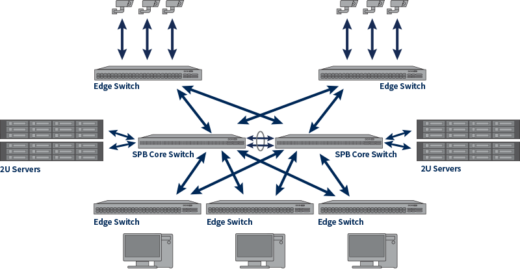 With features including large PoE budgets, a wide variety of port densities and form factors, high availability, always-on video provided shortest path bridging, and other cutting-edge features, BCDVideo’s networking solutions can provide networks ranging from a simple star network to highly available and redundant network architecture. BCDVideo’s focus on proactive response and personal service has allowed us to become the most trusted source for security integrators in need of innovative, purpose-built video data infrastructure and appliances.